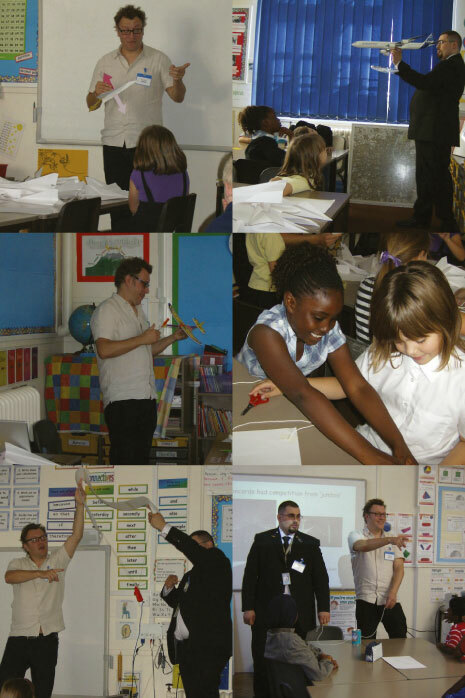 Years 4 and 5 each had a half-day science workshop led by Adam Nieman with help from volunteer Kayvon Barad on 17 September. Years 5 and 6 each had a creative writing workshop in November with poet Claire Williamson and Airbus volunteer Adam Fallon. Here are two of the group poems they created. My organs stabbed with women's spiky heels. Stop! Where am I going? My heart starts; I shudder towards the runway. Hear the pounding beat as I creep with my feet. My arms ache at this deadly weight. Help! No turning back now. Help! Why did I start this? I'm in the sky, feeling like a hero. I feel alive in the morning sky. If you want to see for yourself, just pop along!